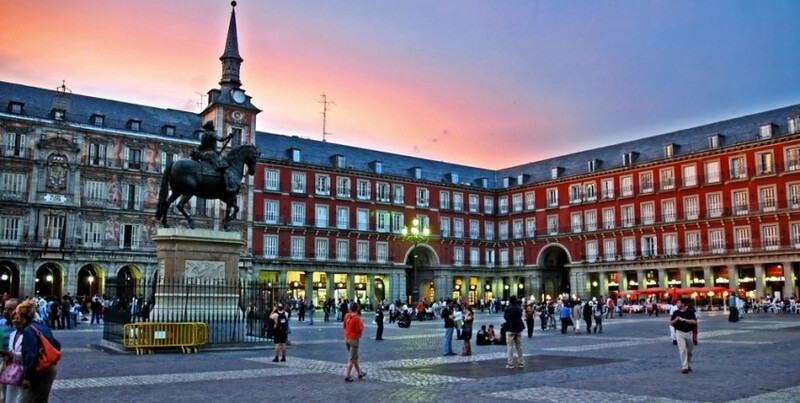 With more bars per capita than any other city in Europe, Madrid has a crazy nightlife scene. But just like everything in Spain, it’s a late one. When I lived at college in Australia, dinner started at 5:30pm, and usually by 9pm the call of “BUUUUSEEEES” would echo down the hallways, signalling it was time to catch the bus to the clubs. By 2am, the clubs were pretty much empty, minus the leftovers. In Madrid, dinner starts at 9pm. Most clubs (discotecas) don’t even open until midnight, and many offer cheap drink deals or even open bars until 1.30am just to get people to come out before then. It starts filling up and getting fun at around 2am, and most stay open til 7am. It’s a bit different. One of the biggest clubs in Madrid is Kapital, which has seven floors of bars each with a different theme, ranging from “Latina” to “Cocktail” to “The Makeout Room” floor. The best part though is the huge jet of cold smoke that gushes down from the ceiling onto the main dance floor every half hour. It’s like those huge buckets of water at the water parks that all the kids wait for to fill up and tip over, but for grownups. And when your rager of a night ends at 6am and you’ve got the munchies, forget Mr. Deno’s Kebab & Pizza. The Madrileños prefer to keep the party going with a few churros and a cup of hot chocolate. No wonder they have an economic problem.